Select the jobs listed below for further details or use the search facility to search on job type and location. 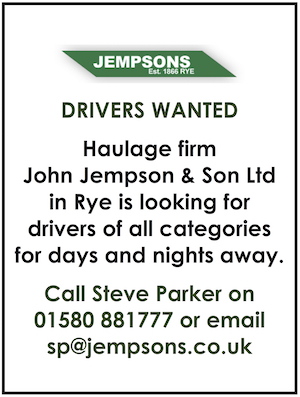 Please contact the employer direct rather than via Rye News. Business Sponsors can place ads by using the Submit a Job form. To advertise on this site become a Business Sponsor and place your job vacancies free of charge. Find out how to become a business sponsor here. If you are not a business sponsor text ads can be placed here. Please email info@ryenews.org.uk for prices.